During your visit to the Museum, stop by the Museum Store on the 2nd floor to test out our new Making with MoMA art kits and tools. Inspired by techniques and artworks in MoMA's collection, Making with MoMA let's you and your family continue your experience after your visit to The Museum of Modern Art. 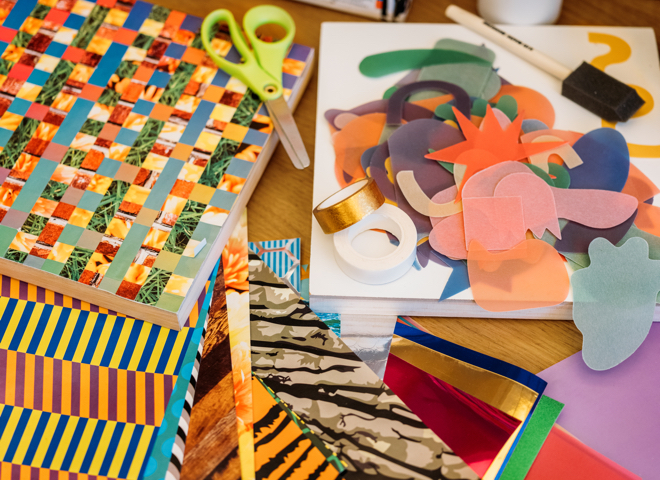 Drop by our Soho store for a fun family activity where you will create collaged landscapes. Do you have a favorite place in the world? Or somewhere you’ve always wanted to visit? Maybe you’ve invented an entire world in your imagination! Picture the colors, textures and details of this place and create a collage that shows or represents it. Led by Kid Made Modern in conjunction with our latest Pop-Up, Making with MoMA. For families with children ages 5+. 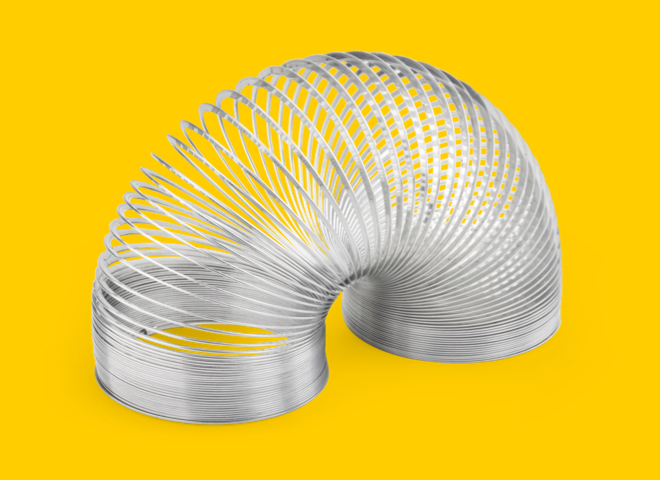 This family workshop draws inspiration from toys, such as the Original Metal Slinky, a 1943 design that's represented in MoMA's collection and featured in the Museum's exhibition The Value of Good Design, currently on view. 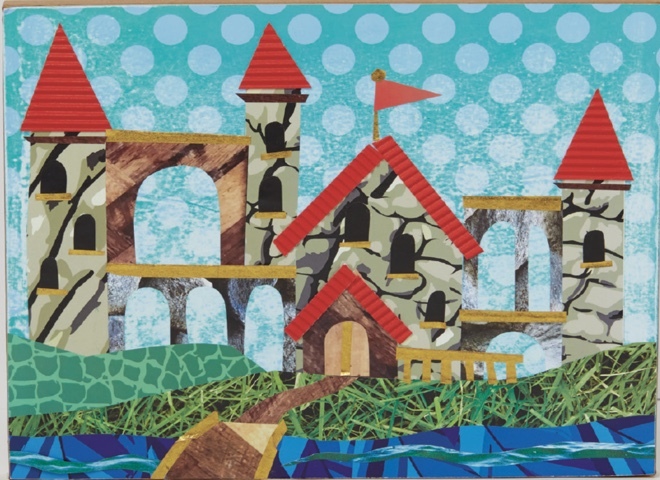 Your family will use everyday materials such as metal, cork and cardboard to create your own toy designs. Led by a Museum Educator. Recommended for kids ages five and up and their adult companions. Discover a special selection of Italian-made humble masterpieces from the brand Fattobene that are distinguished by good design and unique stories. 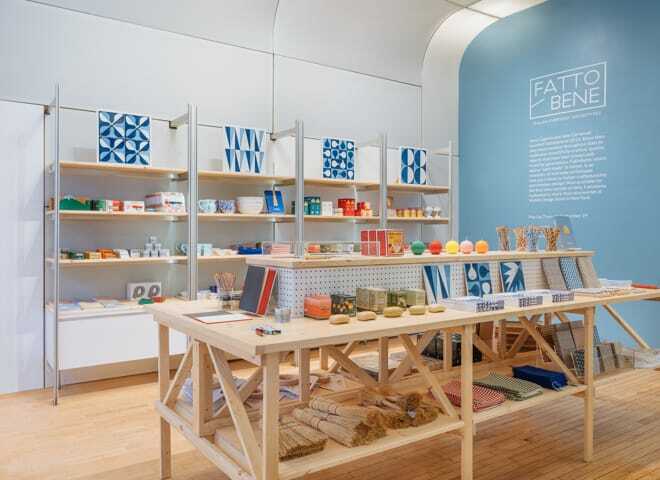 This Pop-Up will be the first time the brand has introduced a shop in the U.S. dedicated to showcasing iconic Italian design objects for everyday use. Need Help with U.S. Orders? Need Help with International Orders?